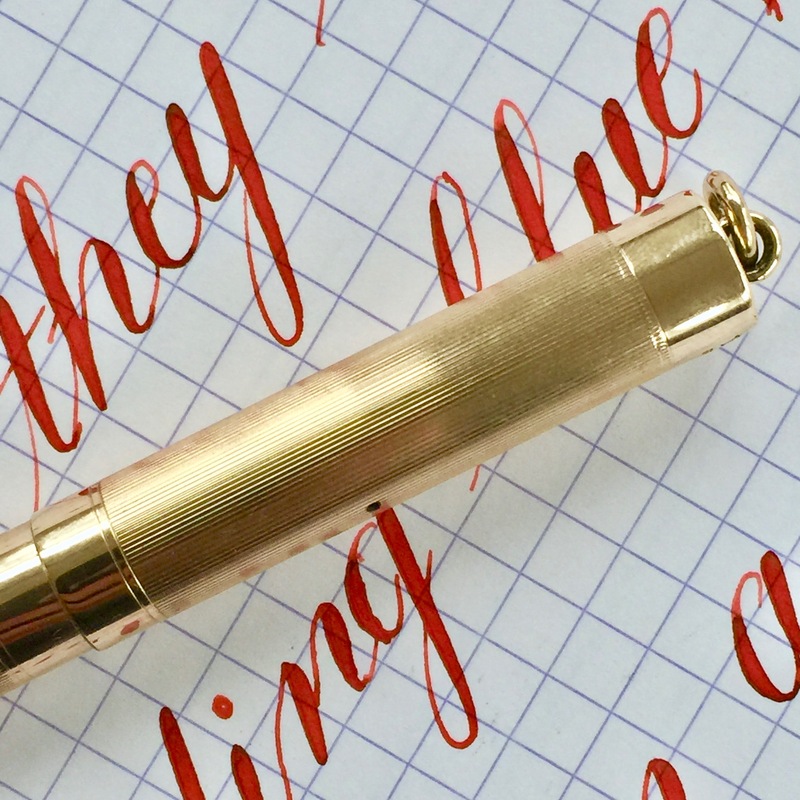 This is a great example of the classic Wahl gold-filled ring tops. Many companies made these, but Wahl seemed to make the largest variety and some of the best quality. 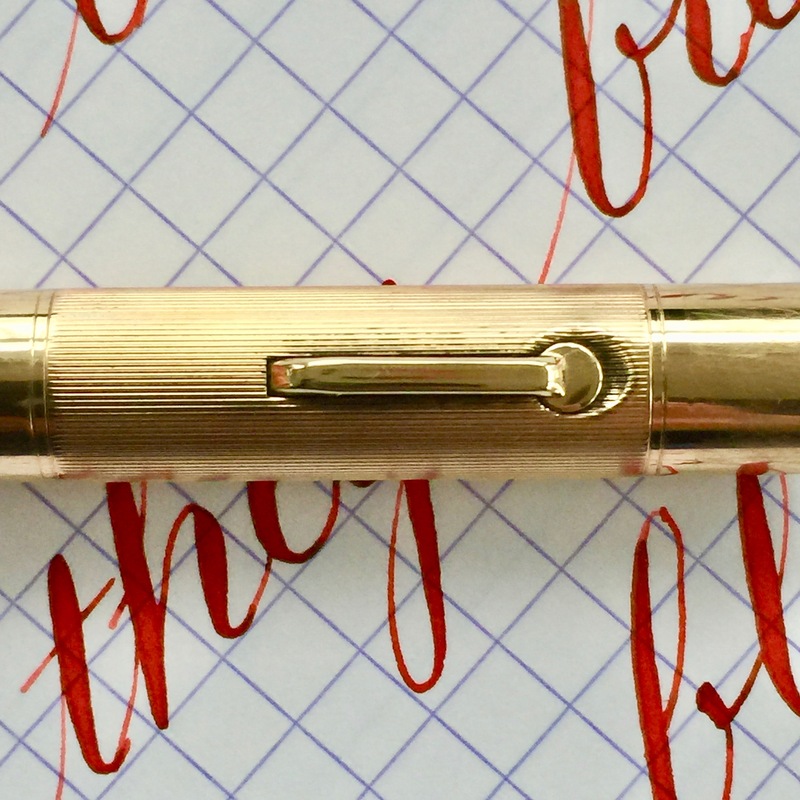 There is no brassing on this pen, and only one tiny pin prick ding on the lip of the cap. The initials “H.E.S.” are engraved in the side of the barrel. There is light scratching around bottom of the barrel just above the section from screwing the cap on and off. 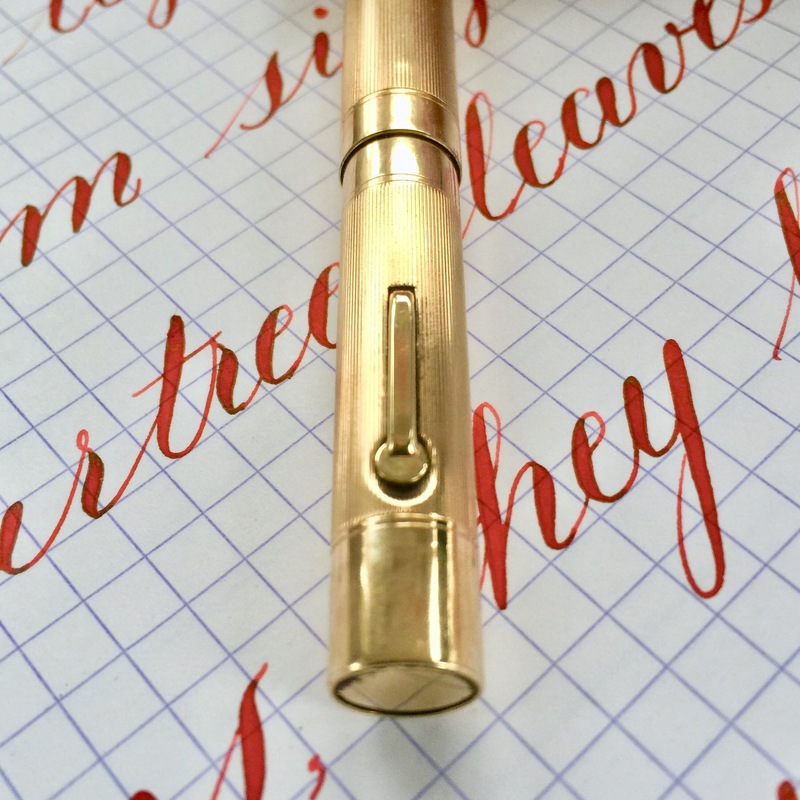 This is typical for gold filled overlay pens. No other defects to speak of. The 14kt. 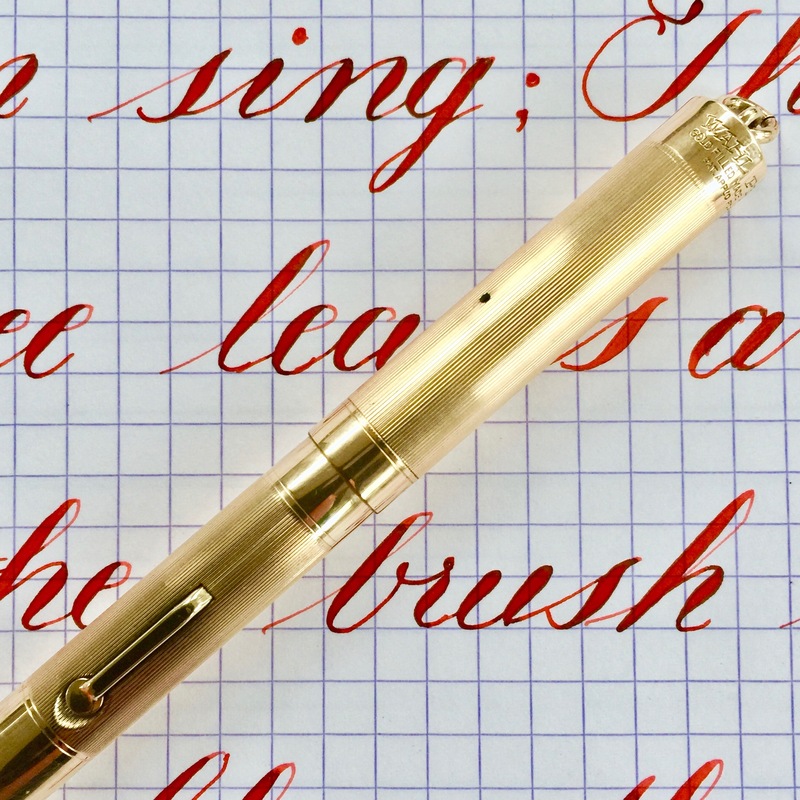 #2 Wahl nib is a beautiful writer. A very smooth and elegant XF (0.3mm) with good flow but is not overly wet. 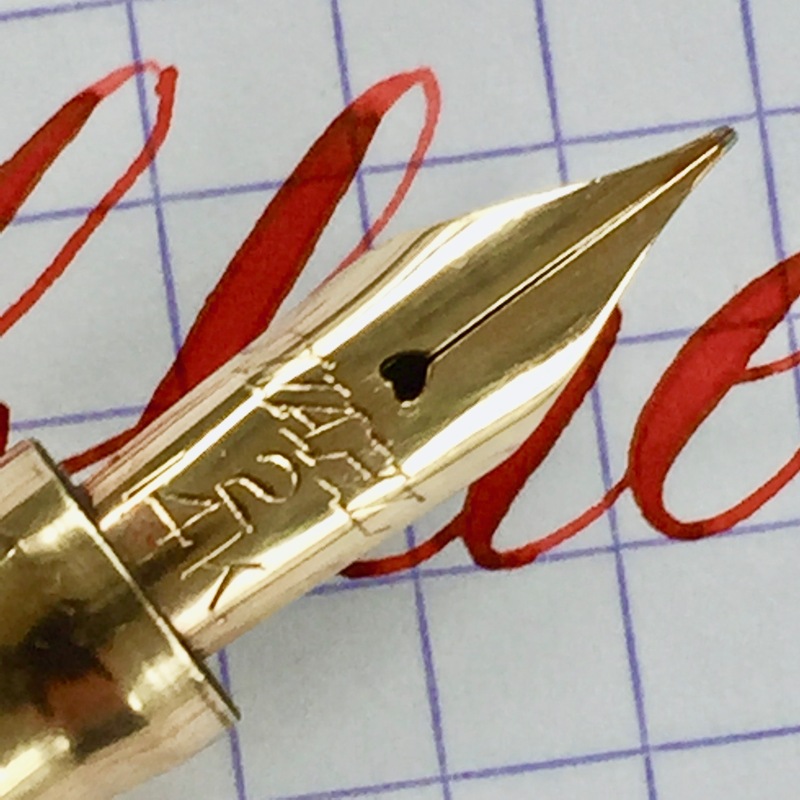 The flex on this nib is also very good. 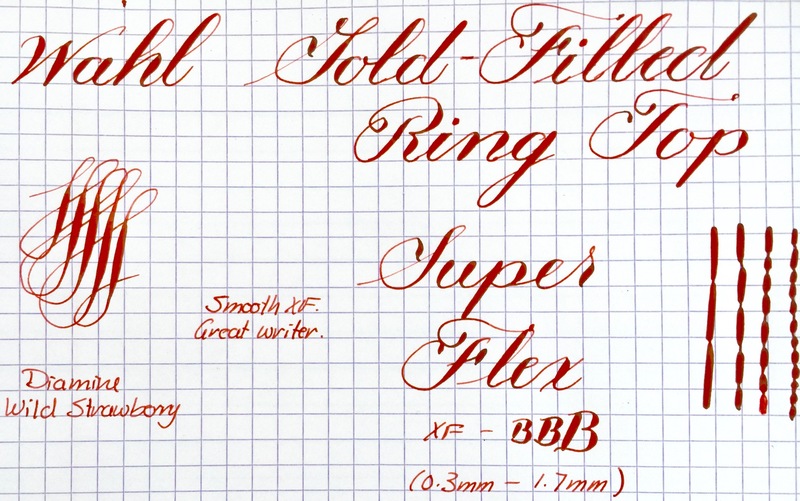 It’s a bit on the stiff side for a “super flex” grade, as these Wahl nibs tend to be, but it has a great range going from XF to BBB (1.7mm). On top of that it also is very responsive. 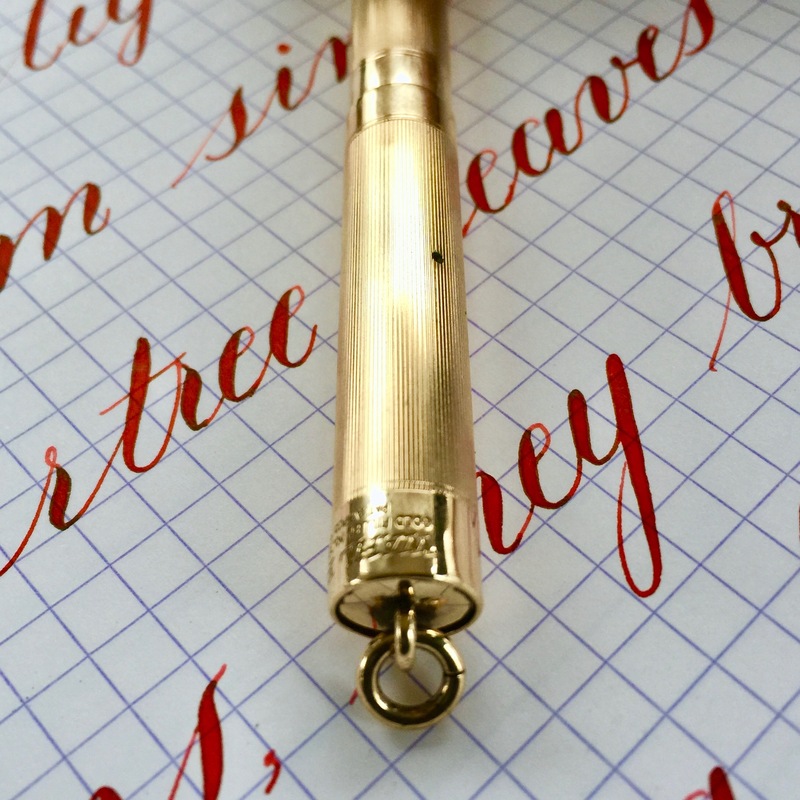 It’s a great portable and durable vintage flex pen in excellent condition.